29 brilliant simulated diamonds carefully mounted on a .925 silver ring. This ring is so modern, out of the ordinary, made for a remarkable moment. 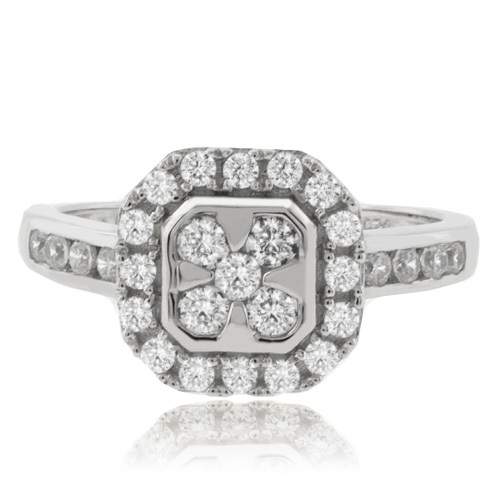 Show your eternal love with this stunning silver ring, she will love how shiny it is.